I mentioned that my oldest was entering high school this year, right? My husband and I feel strongly about kids participating in after school activities. Starting last year, we encouraged her to think about what activities she might be interested in. We suggested Marching Band. She plays the clarinet – quite well, especially when she practices. She did not like this idea – at all. I never got a good explanation as to why but we moved on. Then, some friends suggested that we go to a show-and-tell night to see the Winter Guard perform. She was sold. 🙂 Thank you friends!!! White t-shirts are pretty basic. You don’t need some fancy name brand. I found Danskin t-shirts at Wal-Mart for $3 each. Another mom found 5 t-shirts for $10 at Walgreens. Black shorts are also pretty basic. Again, I lucked out at Wal-Mart for $4-5 each. On a tip from another mom, we found 1/2 gallon igloo water bottles with a spout at the dollar store for $5 – whoohooo! Body tights – well there’s not too much you can do there. You’re probably going to have to go to a dance store. Unless you can find a coupon, you’ll be paying full price, so save on the other items when you can. Yoga Pants – Don’t be like me and get caught off guard and have to pay full price – ahem – $45. Save your Kohl’s cash and watch for sales. One mom swears by Aeropostale’s yoga pants and they were only $10. Another mom found some at Wal-Mart for $10. But, the BIGGEST tip of all is ask the other moms. Having less than 24 hours to find yoga pants and a booked schedule, I panicked and ran to the quickest store. If I had thought about the mom network, I could have had my daughter borrow a pair from a friend who has like 20 pair in her dresser. Start early and watch the sales. It doesn’t have to cost a fortune. Now, back to the Killer Guard. 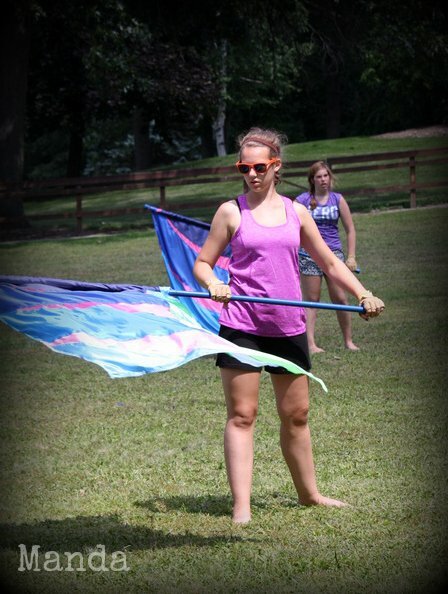 My littlest (3 years old) started calling Color Guard “Killer Guard” this summer. We had some good laughs but we thought that it might be for the best if we told him the correct name. Strangers might not think it was so funny to hear that we were dropping off his sister at the Killer Guard. 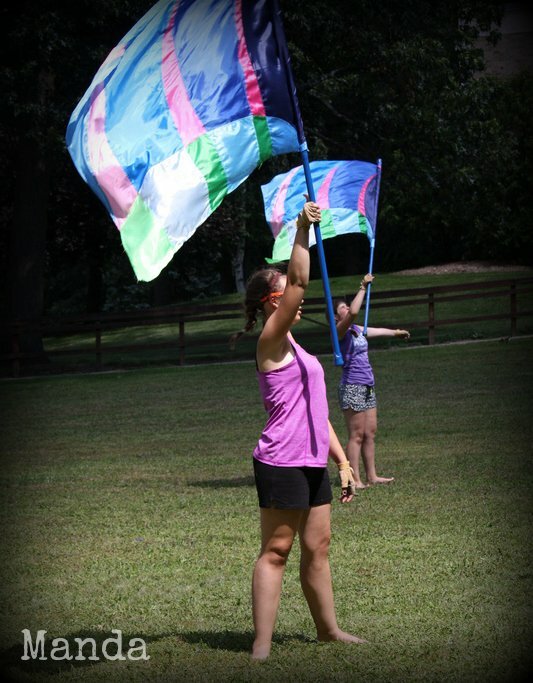 Any Color Guard moms out there? Share your tips! 10 Months Old! How did that Happen?